The October Society is a brain trust of some of the best talents working in horror cinema today. 11 directors (Darren Lynn Bousman, Axelle Carolyn, Adam Gierasch, Andrew Kasch, Neil Marshall, Lucky McKee, Mike Mendez, Dave Parker, Ryan Schifrin, John Skipp, and Paul Solet) cram 10 short films into a 90 minute feature all set in a single suburb on a very exceptional Halloween night. All this action is wrapped in the warm familiar voice of Adriene Barbeau slinking across the airwaves of the local radio station. The narration is a loving homage to her character Stevie Wayne from John Carpenter’s 1980 classic The Fog. Another horror anthology film released earlier this season A Christmas Horror Story (read my review of that film here) also features a DJ character (William Shatner) as the narrator. I’d would be remiss to accuse either team of filmmakers of aping the other, as the two films work nicely together as a double feature. Its almost as if this was a deliberate plan of the teams behind both films. Tales has a little something for everyone. There are folkloric stories, gore, laughs, and an adorable little alien that takes a slasher story in a much unexpected direction. The cast is chock full of talented and familiar genre actors; also, cameos from four of the great directors of 80s horror are sprinkled throughout. Whether intended or not, there is a definite feeling of some sort of passing of the torch here. These legends (I’m not naming them here because it’s more fun for the viewer to be surprised) seem to be comfortably playing along with the younger filmmakers who’ve taken on the mantel(s) of a horror luminary. The filmmakers have stuffed 20 pounds of metaphorical Halloween candy in a 10 pound bag. This didn’t bother me, but some viewers may feel that the film drags a bit in spots ironically because so much is going on at once. It’s sort of like a weird anthology film version of the law of diminishing returns. However, it’s a very minor criticism as the film is a joy to watch. Every frame seems to ooze with authenticity and passion for horror movies and the Halloween holiday. 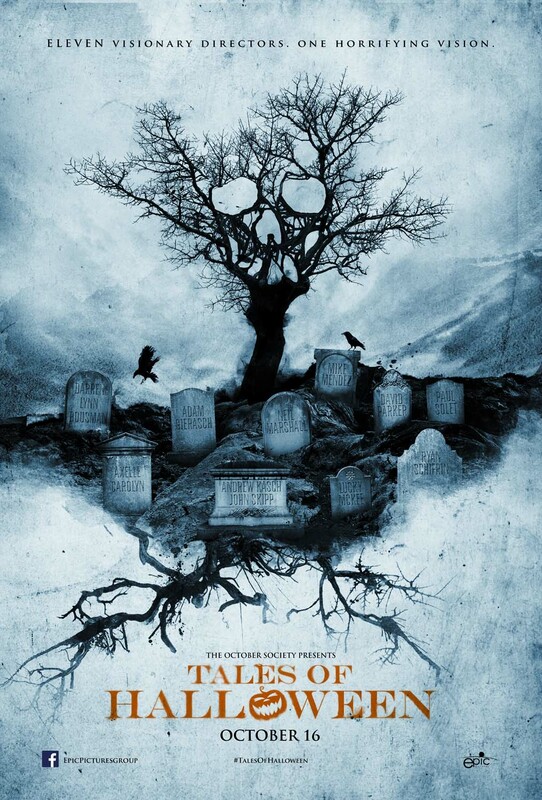 Tales of Halloween is a must see for fans of classic style short form horror. SYNOPSIS: Ten stories from horror’s top directors. 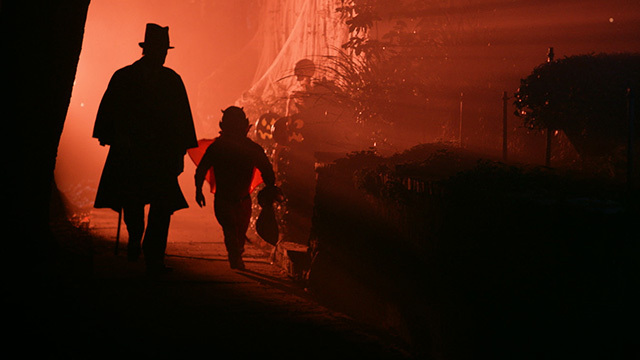 Ghosts, ghouls, monsters, and the devil delight in terrorizing unsuspecting residents of a suburban neighborhood on Halloween night. This creepy anthology combines classic Halloween tales with the stuff of nightmares. Next Post Happy Bloody Valentine’s Day!